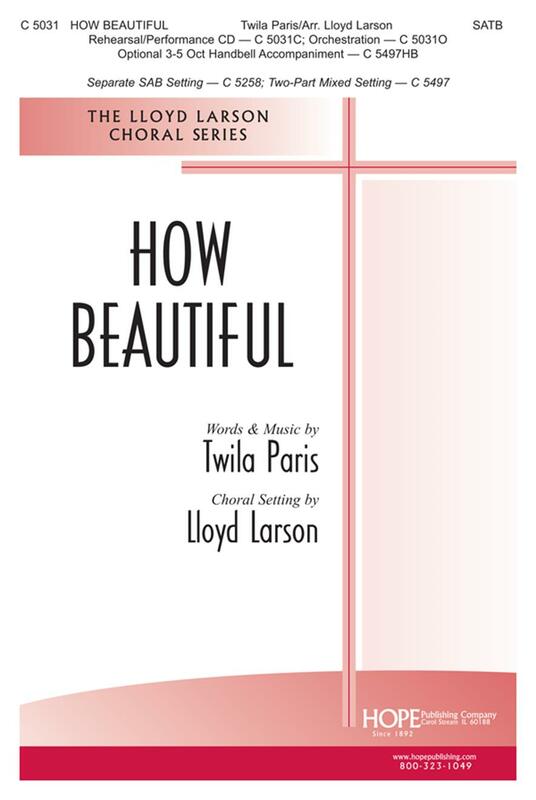 This exquisite ballad by Twila Paris has been set by arranger Lloyd Larson in a new 2-part mixed setting with a new 3-5 octave handbell accompaniment (compatible with all voicings). With both Lenten and communion themes, this best-selling arrangement is a useful reflection for a variety of occasions. The original, lush orchestration by Mark Kellner is also available. This includes a Conductor's Score and parts for: Flute, Oboe, 2 Horns, Percussion, Timpani, Harp, Violin 1 & 2, Viola, Cello, Bass, and Rhythm (Guitar & Electric Bass).